Whether you are hosting a special celebration, or promoting your company, Labels on the Fly can help you make a great impression. You can personalize our extraordinary custom-designed labels, gift tags and coasters to add your own personal touch to wedding and party favors. We offer an exquisite selection of wine and beer labels, as well as labels for cottage industry packaging, wedding CDs and DVDs, baby announcement CDs and more. Custom designed gifts are a thoughtful way to let the people in your life know how much you appreciate them. Personalized coasters make great housewarming gifts, and bookplates are a fantastic present for the avid reader in your life. "I received the cigar label today; I put one of the labels on one of the cigars and they look great. Thank you so much for the fast turn around. I will place many more orders with your company. I will tell my friends about your company and the fast turnaround and the great quality of work that you do produce. 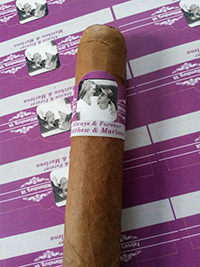 I have attached a photo of one of your labels on the cigar you can see how nice it looks. My son and his fiancee love the labels again thank you for all your help the fast turnaround and the great quality of work; in making their wedding day complete. ."
"I just wanted to write to you guys and let you know how much I appreciate your help with my labels. I put them on myhand-made soaps and they look so professional. I've started selling my soaps at a local shop, and the owner asked me where I got my labels printed. I told her about your website and how great you were to work with. I hope she recommends you to her other home crafters." "This morning I was trying to print my own lables, for my sons end of the year baseball party DVD. In the process, I got a sticker stuck in the printer, nothing good came from this. So I went on the web and found your company. Your site was very easy to use and the price was right. After hitting send, it him me that my party is in a week. I called customer service, and they said it should be fine. Well, I just got the shipping confirmation. THANK YOU so much for wonderful customer service. I can not wait to see them." " I have been beyond impressed by the designers at Labels On The Fly. I have never written on a service before but in this case I felt I had to. Their customer service has been phenomenal and their design team has been an absolute pleasure to work with every step of the way." "Hi Karin, One word.Perfection!!! Thanks a million." " I want to thank you for the amazing service as my proof had a mistake and instead of just printing it, you called me to verify the accuracy! Thank you all so much." "FYI they came out great. Everyone loved them." "Thank you, I received the labels and love them." Thanks again, for your time and effort with the images. The labels are beautiful!Have a wonderful day." "Thank you so much for rushing my beer label order. I got them 2 days earlier than you said – in plenty of time for our Summer fest weekend. They came out great." "I was very pleasantly surprised when my wine labels came in. I put them on my first batch of bottles, and I couldn't't believe how professional they look. Thank you for all your help." "I got the cards today. They look fantastic. I can't wait to show them to my fiancee." "So glad that you recommended going with the block type rather than the script. It is so much easier to read. They look awesome and I can't wait to put them on my boxes." 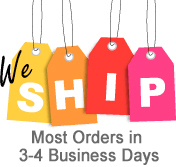 "I received my order sooner than expected and it was perfect. Thank you!!" "The labels that you printed came out great. Everyone in the office loves them. I'am sure we will need to reorder more soon." "Love my wedding favor cards!!!! They came out beautiful." "We loved the cute little favor cards that you printed with Molly's picture on it. Everyone was asking where we got them, and I told them about your website. Thanks so much for getting them to us so quickly." "Thank you for getting my labels out so fast. You guys are the best!" "I love the honey labels that you designed and printed for me (the ones with the cute bee on them). They look incredible – even better than I expected! I can't wait to put them on my jars so that I can start to sell them at the state fair."